Gold prices managed to negotiate a close in the positive territory on the last trading day of the week as sentiments got a lift after EU leaders made some headway to impose stricter austerity measures and chalked out a comprehensive plan to avert the onerous Euro-zone debt debacle. Depreciation in American greenback too made the dollar denominated yellow metal more lucrative for overseas investors. 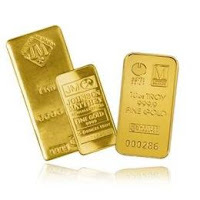 Gold futures for February delivery gained $3.40 or 0.2% to settle at $1,726.30 an ounce after trading as high as $1,727.90 and as low as $1,704.90 an ounce on the Comex division of the New York Mercantile Exchange, whereas the spot gold prices rose $8 to $1,711.30 an ounce.